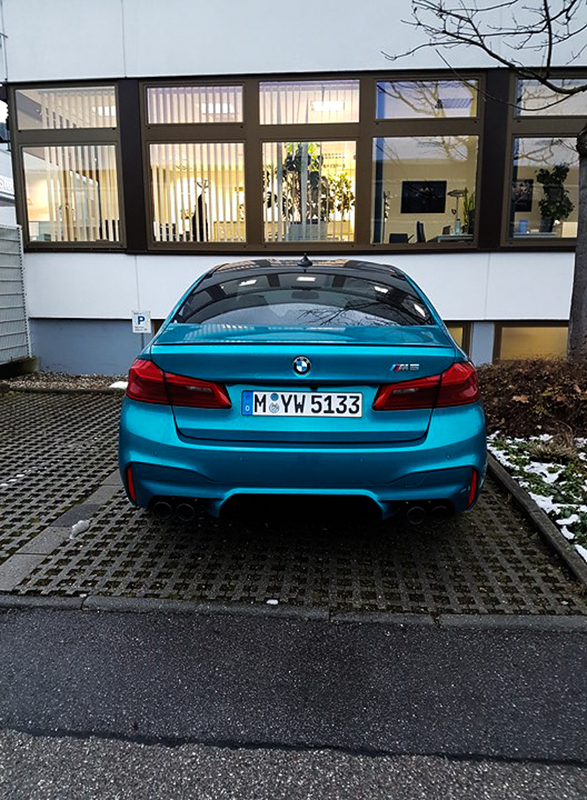 If you go on the online configurator for the new BMW M5, you’ll quickly learn that there are very few interesting paint color options available. 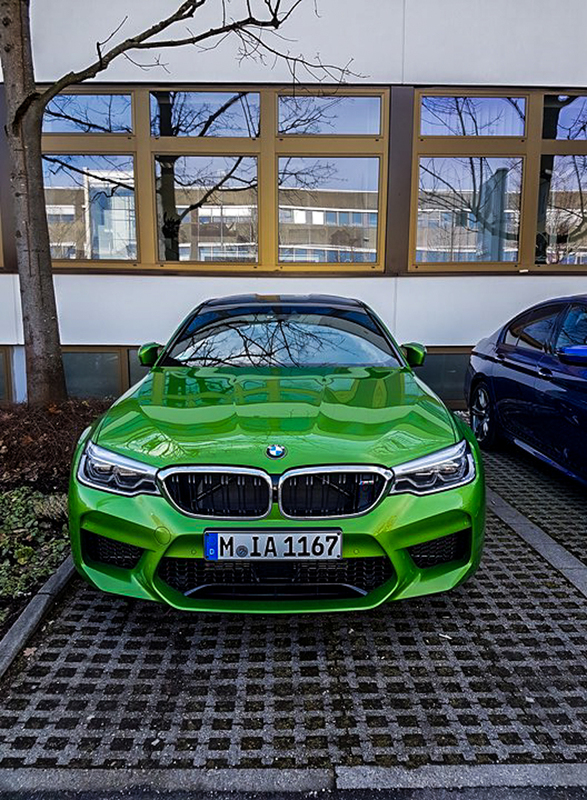 For an M car, this is a travesty, as the M Division has always offered a great selection of colors. However, this current M5 only offers a couple without having it dig into the brand’s expensive Individual program. The only interesting colors available without getting an Individual color are Marina Bay Blue and Snapper Rocks Blue. 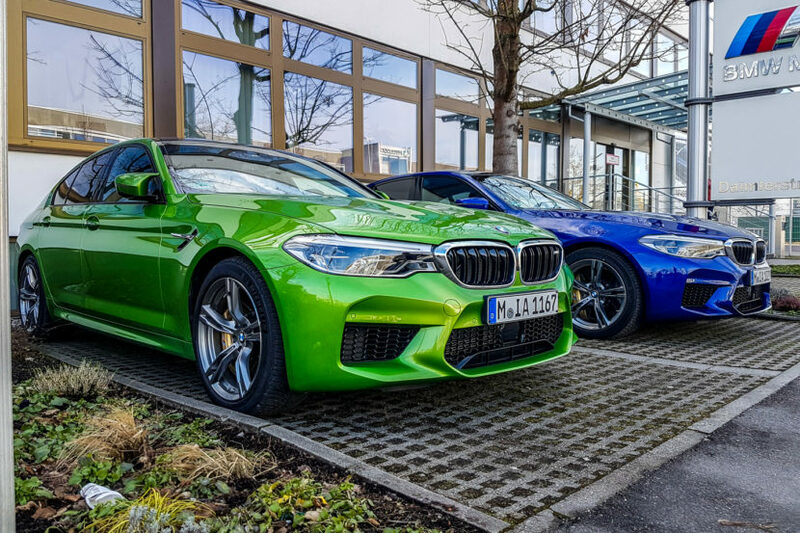 We’ve been claiming that BMW should offer some more colors for the M5 and these photos of the M5 wearing some more unique colors prove us right. 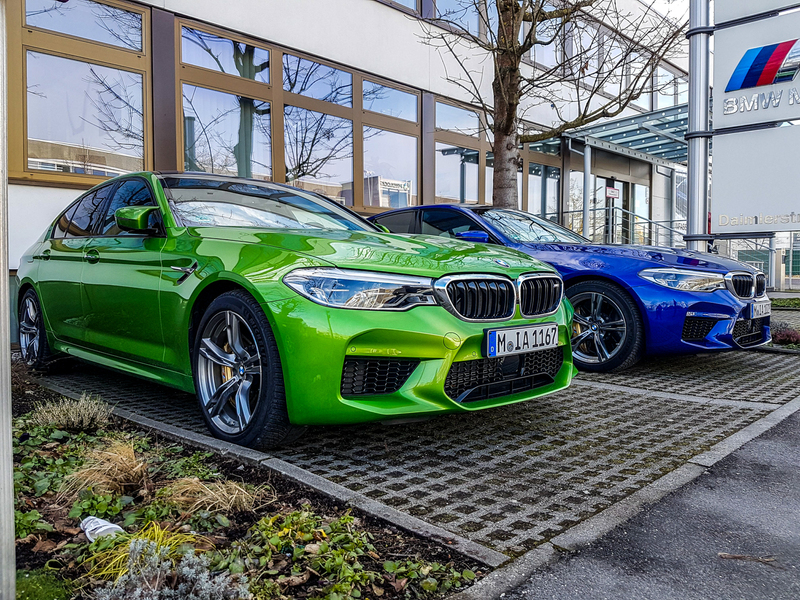 Caught outside of BMW M’s headquarters in Germany, these BMW M5s are sporting a couple of exciting colors and one that we’ve seen before but is no longer available. 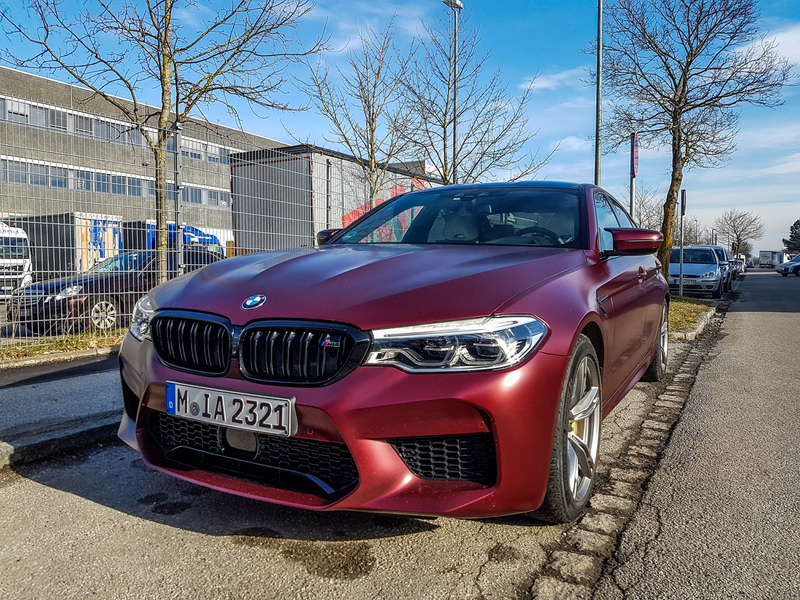 The latter is the Frozen Red BMW M5, a color which was only available on the “First Edition” M5s but is something we feel BMW should have continued to offer, as it’s a great looking color. 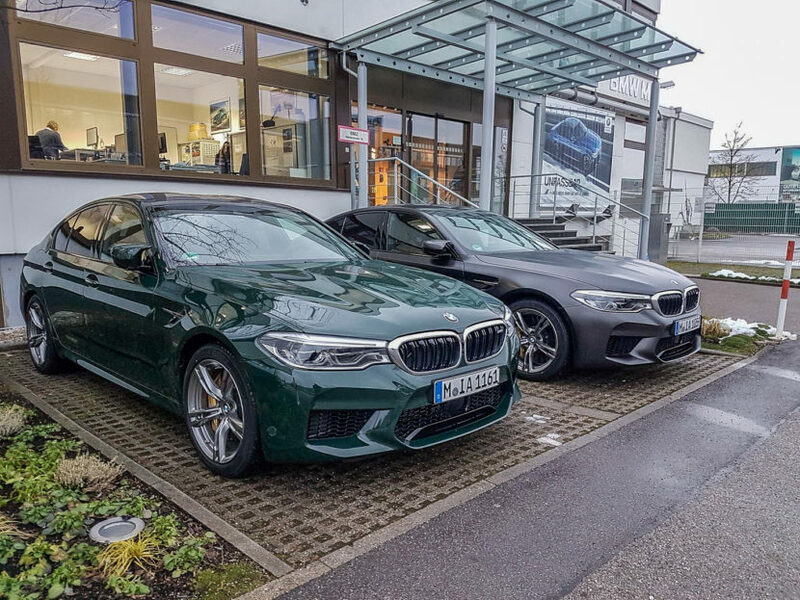 Among these colorful M5s was also another frozen color, Frozen Dark Grey and it’s better looking than any of the other greys BMW offers as-standard. 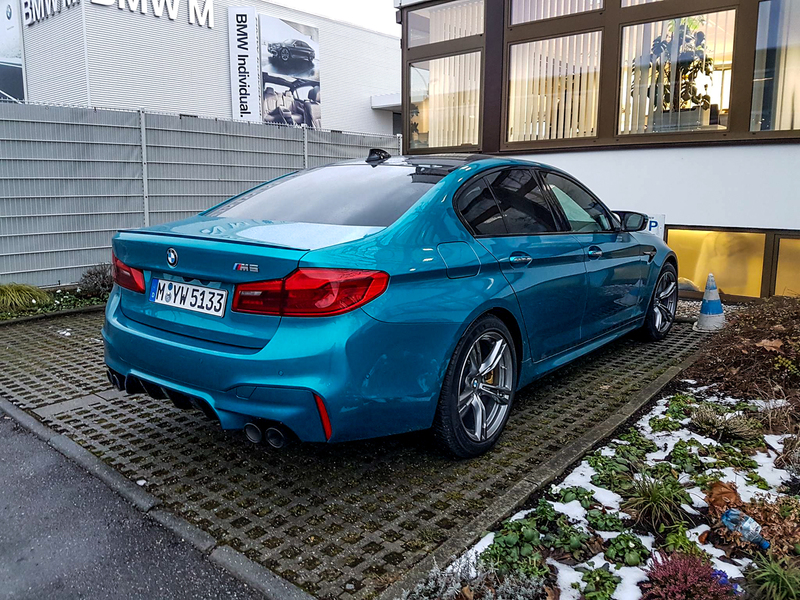 There’s a Snapper Rocks Blue M5 seen in these photos and it looks good but for some reason doesn’t fit the M5 that well. On a 4 Series convertible, it looks great but not so much on an M5. More interesting are the other colors seen in these photos. For instance, Java Green is a very exciting, very bright green. While that’s not really my personal cup of tea, it’s far more interesting than just a boring black or grey. My personal favorite of all of these is British Racing Green. Typically, I feel that British Racing Green is heresy on anything other than a British car but it looks really good on the BMW M5. It’s exciting and interesting while also being dark enough to make the hulking M5 seem aggressive and brutish. 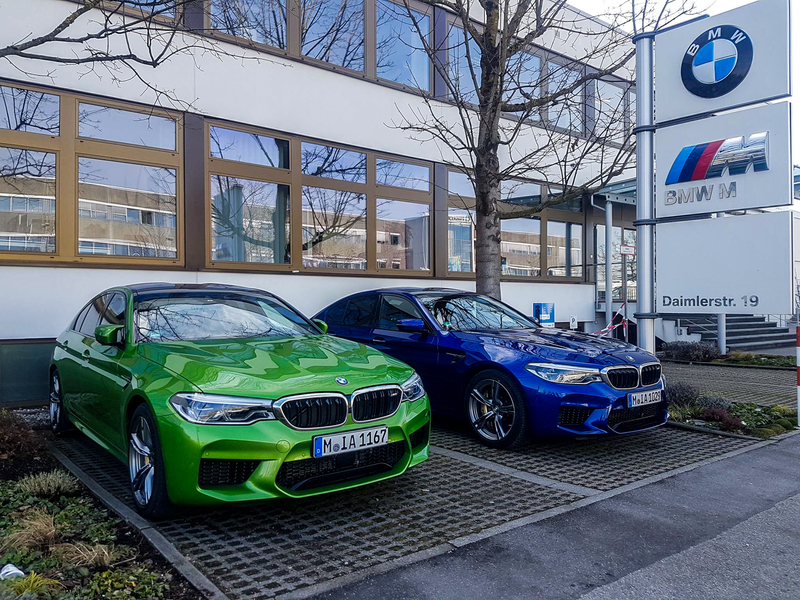 We like interesting colors, here at BMWBLOG. And these are some really interesting, really good color options for the BMW M5. It’s just a shame you need to dig into the Individual program to get them.